Teal is the new black. The Christiane Earrings take the classic gold hoop and add the complementary tone of teal mesh ball beads plus crystals for extra sparkle. A fabulous way to add colour to your evening look. 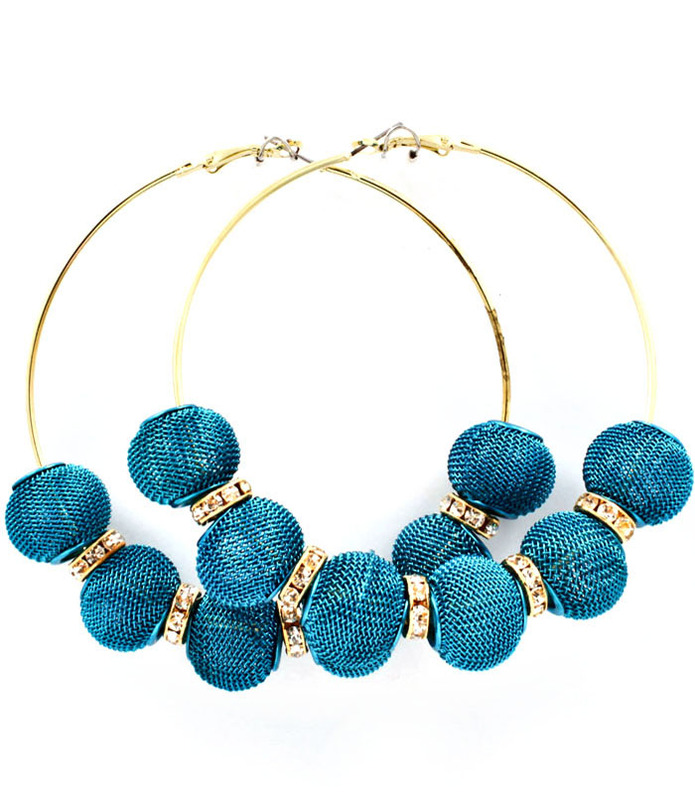 Add any of our attractive meshball earrings to your favorite summer outfit and make it pop!